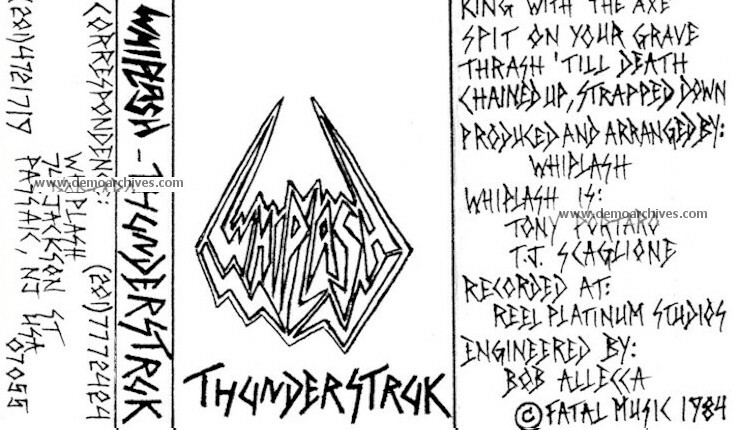 Whiplash is a 3-piece power trio hailing from New Jersey. The band was assembled back in 1984 when Tony Portaro and Tony Scaglione joined forces, recruited Tony Bono on bass and released their first CD, Power and Pain, in 1985 on Roadrunner Records. The debut CD was followed up by their first live performance at RuthieÕs Inn in Berkley, Ca with Possessed and Death Angel.